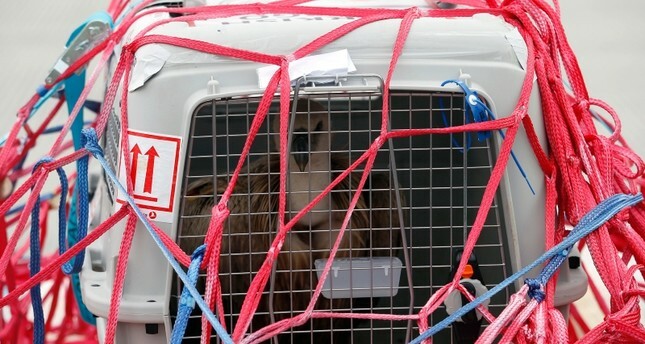 Turkish authorities returned an endangered griffon vulture Friday to Serbia after it was found in Turkey. Turkey's Ambassador in Serbia Tanju Bilgiç explained that Turkish soldiers first found Dobrila in December near the Syrian border when it was treated by veterinarians and set free. Turkish Gendarmerie teams handed Dobrila to the Directorate of Nature Conservation and National Parks in the province with local and international press on hand to witness the exchange. Researches found Dobrila is at risk of extinction and her origin country is Serbia. Dobrila was brought to Belgrade by Turkish Cargo where she was welcomed by Bilgiç and Serbian Environment Minister Goran Trivan. Bilgiç said returning Dobrila to her homeland is an indication of good relations between Turkey and Serbia. "We are delighted that our operation has been successfully completed," said Bilgiç. He said the bird could not return home alone and authorities requested assistance from Turkish Airlines. Trivan thanked Turkey for providing medical treatment for Dobrila. "We have about 500 griffon vultures in Uvac Special Nature Reserve," said Trivan. "The Return of Dobrila is an indication that the two countries (have) joint efforts for very beautiful and special things." Dorbila will soon be released to its natural habitat at the Uvac Special Nature Reserve in southwestern Serbia.